Rentwise offers the perfect answer to attacks by ransomware via its highly recommended bundled Bitdefender and Cibecs anti-malware and backup solutions that come with its rental computers. How Do We Help Your Business Succeed? Rentwise is a provider of Green IT Infrastructure Services. By understanding our clients’ IT goals, we deliver products and services with a valued difference, at the same time, protecting our environment. As a trusted partner, we take care of your IT efficiencies to enable you to focus on your business aspirations. To better serve our customers’ needs in line with the fast-paced IT industry, we recognise the need to have well-structured business machinery. This calls for a strategic composition made up of Ternarium and Retrivium, our two key drivers of excellence in support of Rentwise. Apart from the core rental business, we also provide IT consultancy services through Ternarium. As the Business Technology Services arm of Rentwise, Ternarium aggregates and delivers best suited IT infrastructure solutions. Retrivium provides asset disposition and value recovery services (also known as IT Asset Lifecycle Management). Retrivium practices a methodical approach to effectively decommission and recover IT equipment. In a nutshell, Rentwise offers a highly customizable solution on three fronts. These are green IT Infrastructures, IT services and IT financing. This business strategy helps our client simplify, secure and save money in the building of a sustainable and scalable IT infrastructure solution. By understanding specific user requirements across your organisation, we employ a combination of new and re-manufactured technology through the aggregation of best-fit holistic solutions while balancing between features and cost. All these, with the environment in mind! It’s simple; we are uniquely positioned to have you covered. It’s time to rethink and revolutionize your business by revisiting key considerations crucial to the success of any organisation looking for maximum profitability and scalability. We support our clients in their entire IT asset lifecycle management with a conscious thought of the environment. We align people and business with the right technology to optimise their spending. We are accredited with exceptionally high rating in an Independent Lifecycle Analysis and Quality Assessment report. Looking to optimize IT Budgets when planning for a technology refresh? Rentwise offers an alternative proven solution that is friendlier to the environment. We work with highly rated technology principals to provide you a robust and secured end-to-end IT infrastructure for peace of mind. Setting a large portion of your IT infrastructure under rental free up your cash flow to enable you to focus on core revenue-generating tasks. 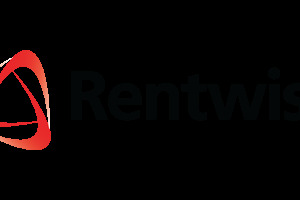 By working with Rentwise, we have greatly reduced our CAPEX. This rental model is friendlier to us as we can now factor the variable cost of renting over a certain duration. We don’t feel the pinch of an immediate upfront cost,” Safiudin says. We can always trust Rentwise’s solid years of expertise to manage the hardware and software assets lifecycle through the various stages from procurement, deployment and maintenance to asset retirement,” Shaun says confidently.